In 2008 the Town Councils of Cromer and Sheringham, in a new spirit of cooperation, established a Joint Promotions Committee. The coalition, representing these hitherto rival, market towns and their surrounding coastal and inland parishes, sought to find innovative, accessible and appropriate ways to tackle common needs and concerns of the residents and businesses in this rural pocket of North Norfolk. Central to this was an agreement between the Town Councils to support (financially and aspirationally) the development of two jointly-promoted, community-led, celebratory festivals that would also attract visitors at the beginning and end of the traditional holiday season. Consultation in 2008/9, including a survey to 7,000 households and several open public meetings – organised by Poppyland (Cromer) and Upcher (Sheringham) Local Area Partnerships (LAPs) – highlighted strong interest in arts and heritage. The broad themes of ‘fishing’ (for May) and ‘culture’ (in Oct) came from this research. These local industries provided commonality – in terms of what made both towns special. Both needed a promotional boost; combined they could potentially offer diverse appeal – to residents and visitors – which could in turn facilitate collaboration between wide-ranging public, private and voluntary sector organisations across both towns. Two independent steering groups, comprising representatives from a broad variety of local interest groups – championed by LAP officers at Poppyland (Cat Plewman/Paul Powell) and Upcher (Janet Farrow/Jason Bell) – were formed to develop the festivals on behalf of the Town Councils. During 2009, the ‘fishing’ and ‘culture’ themes evolved into the Cromer & Sheringham Crab & Lobster Festival and the Cromer & Sheringham Arts & Literary Festival (CASALF). At the same time, the festivals became autonomous; but always with the intention that they would continue to work together, as much as possible, to minimise conflict and maximise opportunities for joint planning and promotion. With the same guiding principles, the fledgling committees established their own, separate policies and procedures, governance, structures and bank accounts. Thus CASALF was originally formed as an unincorporated association. The parameters for CASALF were further explored at an open meeting (attended by 120+ people) at Belfry Arts Centre in May 2009. 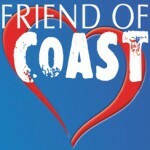 From this and several subsequent planning meetings (general and artform specific) the ‘COAST’ name and original mission – to “promote and provide access to participation in the arts by showcasing the variety & quality of work produced in the local area and creating a shared vision for the common good” – emerged. 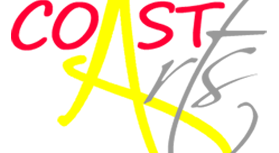 This would be achieved by enabling the development and delivery of a range of initiatives, culminating in COAST – a multidisciplinary, arts festival in autumn half term week at the end of October. 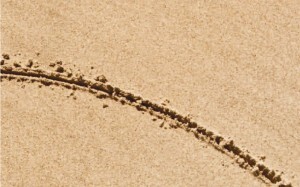 The pilot Crab & Lobster and COAST festivals were delivered in May and Oct 2010 respectively. Both have continued since, and at the same time, annually for 6 years. 2015 COAST breaks new ground – including #NNGT – to retain and build on relationships and thus develop new audiences for 2016 and beyond.